The truth is, you are one of many – and most fail. So how can you ensure that you won’t fail? The last 8 years of running online businesses have taught me that there are 3 key elements to online marketing success. I’ve seen a lot of people fail – but I’ve also seen a lot of people succeed. And what I’ve seen is that these 3 key elements make all the difference. Seriously – just 3. But they are not what you might expect. The good news is: All of these are well within your reach! The other news is: You are probably right now trying to learn the wrong things that won’t help you. Because clever marketing tactics may have a role in online marketing – they may also work for you or others. But they won’t create success for you! Not if you get those 3 elements wrong! And if you are reading this, you are probably already getting everything wrong. Time to fix it! If you focus on three elements of online marketing, you can make your blog popular – and earn serious money with it. You can scale your small business through online marketing tactics. If you focus on these three elements, you can reach goal after goal through your online marketing process. But sadly, all of these three elements are commonly ignored – not just by those who fail online, but also by those who teach online marketing. 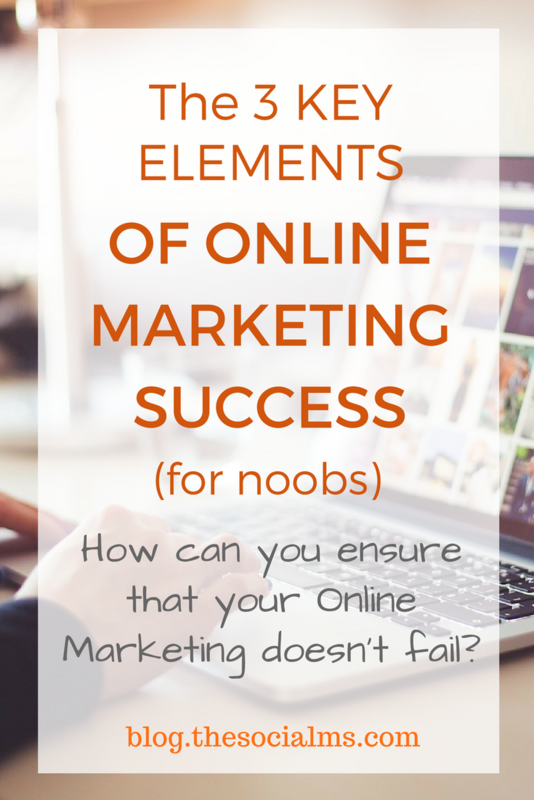 So what are these online marketing success elements? And why have you never heard of them before? The first key element of online marketing success is simplicity. What I mean is not that online marketing is always easy – but that it pays off, in the long run, to keep it as simple as possible. … because they are selling those tactics. And don’t get me wrong – these tactics usually work, if they are applied in the right situation. For instance, there are many “Launch Formulas” out there – sold by people like Jeff Walker. And they work – if you meet the prerequisites for them. For all launch formulas to work for you, you need an email list – otherwise, you have no one to launch your product to. Do you have an email list at the moment? No? Why are you thinking about buying a launch funnel then? You are not helping yourself! What I mean by simplicity is that you always take the next simple step. Don’t try to make complicated all-in-one-moves… Find out what the next logical SIMPLE step is, and do exactly that. The first step to becoming a successful blogger is to HAVE A BLOG. So the first thing to do is to buy a domain, web hosting and to set up your blog. 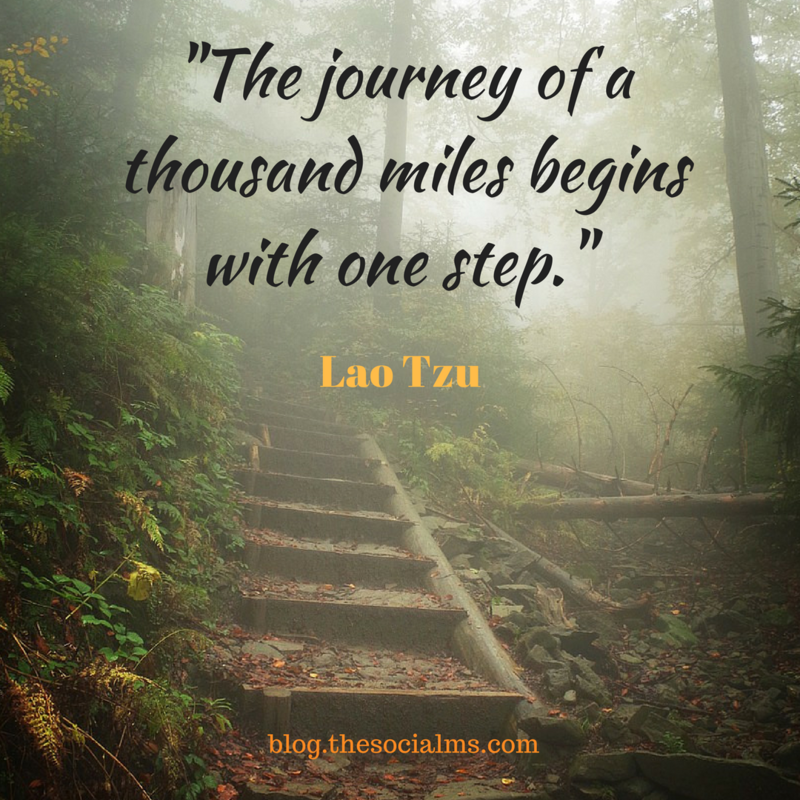 The next step is to start blogging regularly. Take the simplest action that is the most logical next step in your online marketing journey. When you have traffic, but no product, you will have to find something you can sell (either by designing your own product or by finding affiliate products). You will need to create a sales page for your product, and so on. All of these steps aren’t complicated on their own. You can do them. But when you are trying to solve everything at once, it is complicated. And someday you may look back and see all that you’ve accomplished and find that it wasn’t so simple after all. 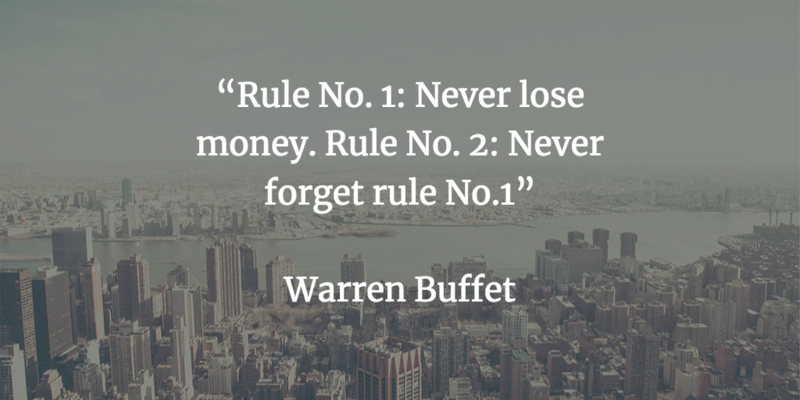 This becomes tremendously important when it’s about building a sales funnel. A sales funnel is a process that leads from traffic to making sales. It can be very simple or very complicated. You can lead a web visitor to a signup form, send various automated emails, can make decisions based on the subscribers’ actions, and so on… Sales funnels can get as complicated as rocket science. Literally. Recipe for disaster! Building a perfect sales funnel before you have a simple sales funnel that converts isn’t possible. Even if you buy a sales funnel from somewhere, there is no guarantee that this sales funnel will work for you AT ALL! A perfect sales funnel is only ever perfect for a specific situation. And the perfect sales funnel for your situation can only be built through iteration. Visitor comes to your site, discovers a product, buys product. This is simple to build, and you can easily build everything you need for it in a day (assuming you already have traffic and a product). Depending on your product and how targeted the traffic is, this may already convert for you. A $9.99 ebook may sell like wildfire with this. A $1000 online course probably won’t. If it doesn’t convert for you, it’s time to add more elements from the online marketing playbook. Add a newsletter signup to your site. When you are learning how to cook – do you start cooking every free minute you have? When you are starting to work out, do you start lifting heavy weights every free minute of the day? Many people actually try just that – they go to the gym for hours. And after a few weeks, they give up because they’ve exhausted themselves. A better way to get fit would be to sit on a yoga mat every day for five minutes, just to build a habit. And once you’ve built your habit you start doing exercises in these 5 minutes. And then you add more exercises and more minutes, in small increments of course. Online marketing is the same as those activities – you can’t learn it in a day. You can’t do it all at once. Getting into the habit is more important than what you achieve today or tomorrow! The solution is simple – you have to find the equivalent of the yoga mat I mentioned above for your online marketing endeavors. You have to build a habit. The best and most straightforward way I have found for newbies is to take 30 minutes each day to work on their business or blog. NOT MORE! Take this time to work on a blog post (you don’t have to finish it today – you can work on it for several days). Read a few blog posts about how to proceed. Post your latest post on social media. Get your blog ready for SEO. Over time you will increase the work on your blog each day – but it will be a natural progression. You may finish a blog post in a single sitting now. It will become a normal part of your life. It’s amazing how many people get this step wrong – and never get to see any online marketing success. The internet is full of blogs that were enthusiastically started, and abandoned only weeks later – just because their owners wanted to do everything at once. If they had allowed themselves more time and built a habit – who knows where they would be today! > You gotta invest money to make money! > The more money you invest the harder it is to make a profit! Online marketing teachers often forget that. The web is full with people that tell you to buy a $1000 marketing training program, start getting traffic and leads through Facebook ads (at least $1 per lead), optimize through A-B testing (while paying per click from Facebook), hiring someone at $400 per hour to optimize your landing pages… and so on. Before you get any kind of revenues, you can easily spend $10,000 for just setting your funnel up. Do you have that kind of money to throw down the drain? Do you want to spend this kind of money just to sell 100 copies of your $10 ebook? Probably not and you shouldn’t. There are a time and place when all of the above makes sense. If you are already making 6 figures through your blog – go on, spend some money to scale it up to 7 figures. But right now, you are a noob, and the best thing a noob can do is watch his wallet. If you don’t know whether your landing page can sell, it is better to invest some time into getting some free traffic to your blog or website by constantly growing your social audience. If you don’t know how to convert your leads – you should generate leads through free traffic. I’ve talked to people who spent more than $10,000 on marketing systems, blog design, tools, … BEFORE THEY HAD EVEN WRITTEN A SINGLE BLOGPOST. That’s not a good use of your budget. A good marketing system or sales funnel takes your budget into account as well. And it is possible to build an online business without investing 1000s of Dollars! When we launched The Social Ms back in 2015, we made money only a couple of weeks later. 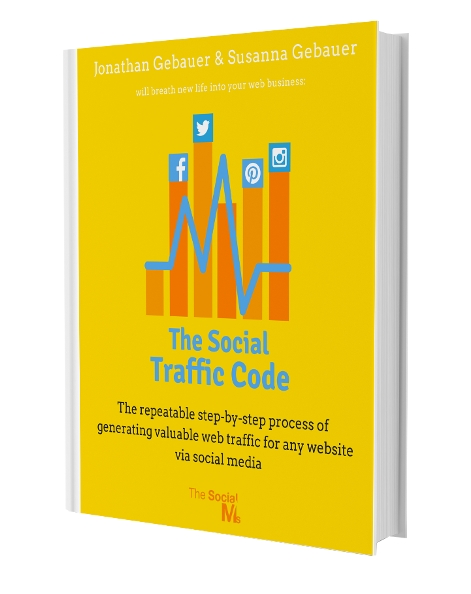 Learn about free traffic before you learn about Facebook ads. Know how much you are going to make per lead, before you start spending more then you can ever make back. In this video I will not only teach you tactics for free web traffic, methods for consistent marketing, and more. 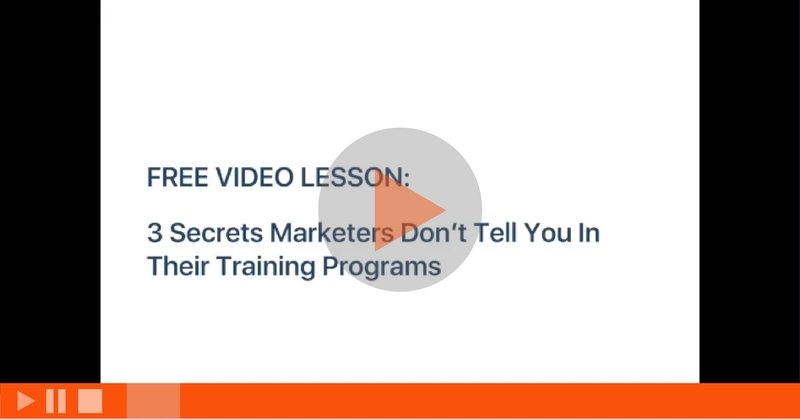 I will also reveal 3 SECRETS ONLINE MARKETERS DON’T USUALLY REVEAL TO THEIR AUDIENCE! Would love to hear your feedback after you watched the video!